Oh gosh, I have exactly the same setup. 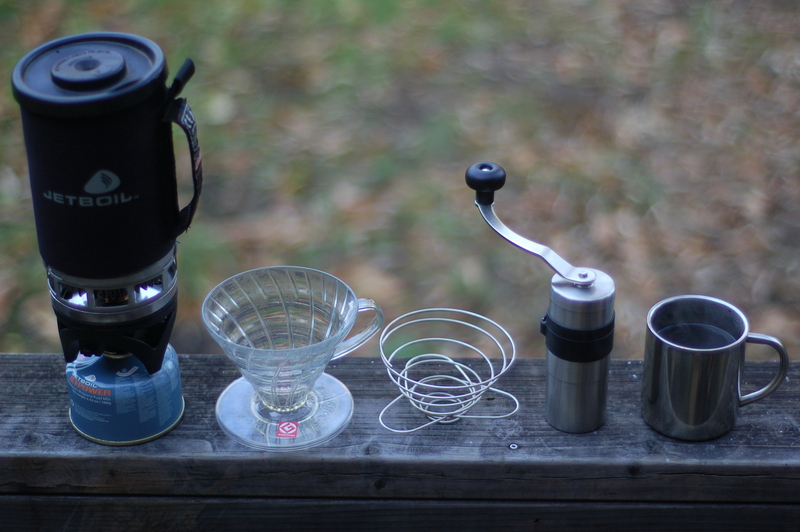 I love my jet boil; however, I keep a little canteen (small plastic) of cream:) I’ve gotta have my goodies. Thanks for the post. Nice write up. I love my mini grinder and use it at home and work.